Have you ever walked by a well-kept historically significant home or building in your neighbourhood and thought “that building sure is old – it must be protected”? Just because a home or building is old, or historically significant, does not necessarily mean that it is protected. What exactly is Heritage Designation and how does it affect my community? 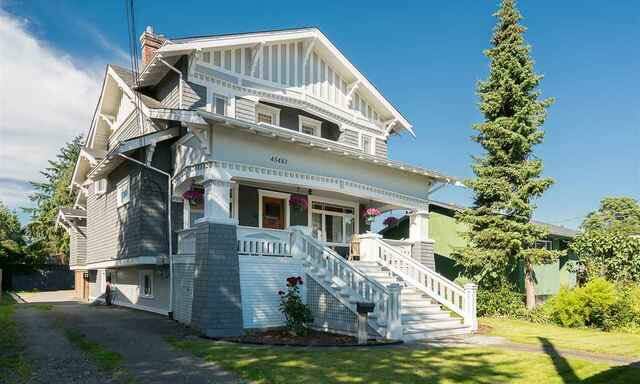 Heritage designation is a voluntary process that allows an owner of a heritage home or building to apply to the City of Chilliwack for protection through a municipal bylaw. Currently there are just 15 designated sites in Chilliwack. 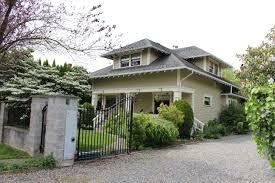 The designation is added to the property’s title and registered in Victoria. Skelton House on Spadina Ave.
And according to Canada’s Historic Places “a historic place is a structure, building, group of buildings, district, landscape, archaeological site or other place in Canada that has been formally recognized for its heritage value by an appropriate authority within a jurisdiction”. These heritage properties give communities a distinctive character, a sense of identity, and connect us to our past. Historic preservation also acts as a positive economic force by creating jobs while simultaneously increasing property values. It revitalizes residential neighbourhoods and downtowns and adds character to new developments when re-purposed heritage buildings are included. Brock House on Gore Ave.
Style/type: Is the building style representative of one of the City’s significant development periods? Is the building associated with a significant industrial, institutional, commercial or transportation activity? Design: Are the buildings notable of special attributes of an aesthetic or functional nature? These may include massing, proportion, materials, detail, fenestration, ornamentation, artwork, functional layout, landmark status or symbolic value. Construction: Does the building use unique or uncommon building materials, or an early or innovative method of construction. Designer/Builder: Did the building’s architect, designer, engineer or builder make a significant contribution to the City, province or nation? Historical Association: Does the building have a direct association with a person, group, institution, event or activity that is of historical significance to the City, province or nation? Historical Pattern: Is the building associated with broad patterns of local history, including development and settlement patterns, early or important transportation routes, or social, political or economic trends and activities?